In an earlier blog entry, we shared results of a study that revealed the top causes for large truck accidents. That list included factors like brake failure, defective parts and overloaded trucks. A more recent study, however, focused on specific actions – or inactions – of the truck drivers themselves which resulted in deadly accidents with other vehicles. 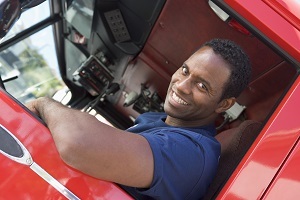 The study was carried out by the National Highway Traffic Safety Administration (NHTSA) and the Federal Motor Carrier Safety Administration (FMCSA), and provides better insight into why accidents involving large trucks have climbed by over 20% during the past decade. Because accidents like these often result in serious injuries for victims in smaller vehicles, we’ll share the findings of the study in this blog entry. Researchers analyzed data from more than 120,000 fatal commercial truck crashes over a 33-month span. In the crashes that were looked at, 75% involved at least one more automobile. What were the key findings of the large truck crashes? In 68,000 of the 120,000 crashes that were analyzed, the driver of the large truck was found to be at fault. Below are the top causes of the crashes. • Poor decisions by the truck driver.In about 38% of the crashes, the truck drivers were either following other drivers too closely, driving far beyond the posted speed limit or misjudging the speed of other vehicles. • Inattention by the truck driver.For 28% of the crashes, the truck driver was either distracted by something inside or outside the truck or completely failed to observe and recognize road conditions that required adjustments. • Driver was incapacitated.In 12% of the accidents, the driver was found to be either asleep, experiencing a medical condition or some other incident at the time of the accident. • Driver failed to maintain control.In 9% of the accidents, the drivers were found to have either overcompensating for road conditions or panicked behind the wheel. Because of the difference in size and weight between large trucks and smaller vehicles, these accidents easily result in serious and deadly injuries. Here at Barber & Associates, we’ve recovered more than $45 million in verdicts and settlements for injured Alaskans, and we can certainly help you get what’s owed to you if you’re involved in such an accident. The first meeting is always free, so call us at 907-276-5858 or you can reach us via email.